Are you behind on your holiday shopping for your puddin’? Well what are you waiting for!? Check this list of badass DC Entertainment-inspired gifts for womyn! I found it a little odd that Joker, Catwoman, Harley Quinn, and other notorious DC villains were listed under the “Hero” section for the Pop!’s. No matter! The section is mostly populated by bobblehead likenesses of Batman and Arkham Knight characters, but features other iconic DC heroes such as Wonder Woman, Superman, and the Flash. With off-the-shoulder sleeves and lace-up design in the back, this gothic top will surely make a statement every time she steps out in public! Evil-doers beware! Assisting someone in their cosplay costuming and accessories is something most people stray away from. They know the Cosplayer wants to work up to getting all the pieces together and they have to be keenly specific. When I went to NYCC for the first time in 2014, I wanted to gender-bend Jareth the Goblin King from Jim Henson’s Labyrinth (1986). I searched all over the web to look for different pieces from wigs to jodhpurs to jewelry. I knew I wasn’t going to be exactly like David Bowie, so I decided to embrace that fact and look for pieces that would help people to recognize who the character is – essentially, every Cosplayer’s goal. From my perspective and interpretation, it seems that Poison Ivy and Harley Quinn are the most popular DC-universe female characters to roleplay at conventions. Below are some links that may help the cosplayer in your life if they’re working on one of these two characters; if not, it’ll always be great to wear outside of the convention center! 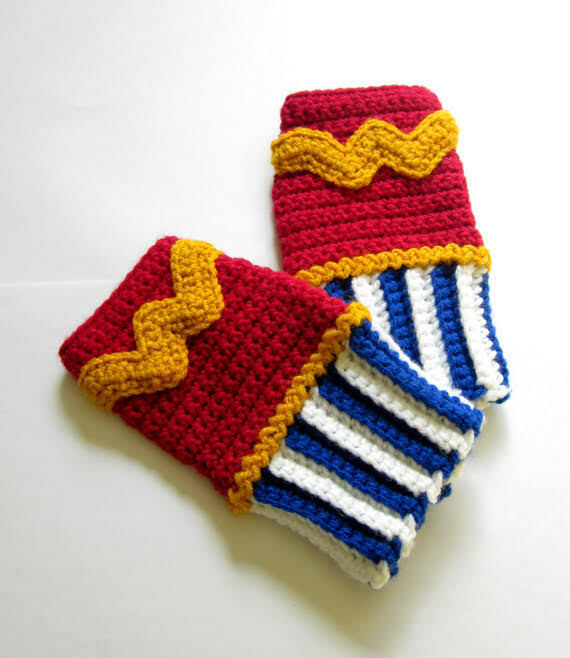 Adorable fingerless, crocheted gloves inspired by Wonder Woman by Nerdifacts. Busts and statues of iconic comic superheroes are usually quite pricey, surpassing $200-$300 any day of the week. 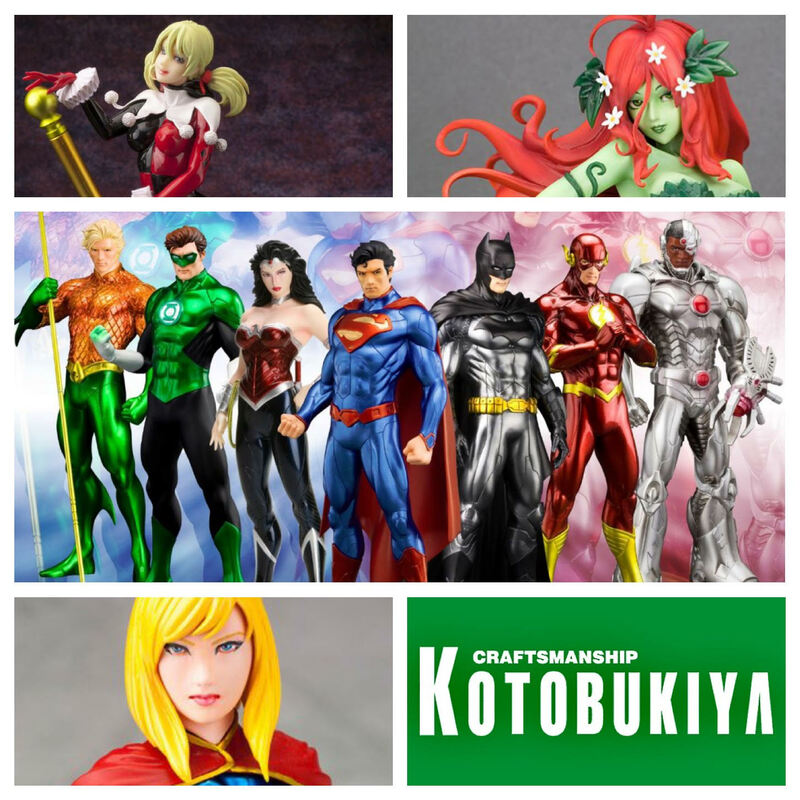 Kotobukiya manufacturers produces friendly cost full-body figures for any enthusiast. I found my Aquaman (modeled from New 52! ), for $40 in a comic book shop; anything over that shows that the figures are discontinued, high-demand, or rare. DC’s New 52 comics have been circulating for the last few years, and it’s no surprise that Wonder Woman was awarded her own storyline. The New York Times has said, “This is clear storytelling at its best….It’s an intriguing concept and easy to grasp. The reader doesn’t need to know that much about Wonder Woman because she is, well, Wonder Woman.” For the first volume, Blood, click here! DC Entertainment has a numerous items to choose from that any fan would appreciate. From puzzles, clothing, home & living accessories, collectibles, and more, I’m sure you’ll find what you’re looking for! So…do you think your puddin’ would like anything from our list? Share your thoughts!